and now…Walmart. Apple Watch is pretty much ubiquitous these days when it comes to American retail stores, and the addition of Walmart as an official retailer is just icing on the cake. Granted, Apple Watch sales at Walmart are quite limited, with only the Sport model being offered, and further limitations have been placed on available colors. Nonetheless, having the Apple Watch, in any incarnation, is a big deal and a big win for Apple and potential customers. It turns the visibility level of the popular wearable all the way to level 11. Walmart is selling both the 38mm and the 42mm Apple Watch Sport models with a Space Gray aluminum case with a black band or a Silver aluminum case with a white band. The 38mm model is selling for $349, while the larger 42mm casing is going for $50 more at $399. Thus far, those are the only options, as no color band Apple Watch Sport models are being offered. You can, however, purchase an additional band in a variety of colors. Walmart is selling 16 different color bands for $49.00 each. It’s also selling the Apple Watch Magnetic Charging Cable in a variety of lengths. Even with Walmart’s entry into the game, you’d be better off right now shopping at Target or Best Buy. Best Buy is offering $100 off all Apple Watch models, and Target is peddling $100 gift cards with purchases. Dropbox has just announced that it is shutting down its Mailbox and Carousel apps. The company plans to integrate key features from Carousel into the main Dropbox app. In 2013, we acquired Mailbox because we believed in the way it was making mobile email better. In 2014, we launched Carousel to create a new way to experience and share photos. With both, we aspired to extend the simplicity of Dropbox to other parts of our users’ lives. Building new products is about learning as much as it’s about making. It’s also about tough choices. Over the past few months, we’ve increased our team’s focus on collaboration and simplifying the way people work together. In light of that, we’ve made the difficult decision to shut down Carousel and Mailbox. Mailbox will be shut down on February 26th, 2016, and Carousel will be shut down on March 31st, 2016. Another sketchy rumor was published today, claiming that Apple will be launching a rumored successor to its now discontinued, unapologetically plastic iPhone 5c in February of next year. Citing supply chain sources familiar with the matter, Chinese publication TechWeb said that the device will feature a metallic enclosure treated with a wide range of colors. Unnamed insiders from Foxconn, a contract fabricator that assembles many Apple gadgets, reportedly told TechWeb that the so-called iPhone 6c will be formally unveiled in January 2016 before hitting store shelves one month later in February 2016. Sources speculated that the device might be outfitted with a Touch ID fingerprint scanner, but not 3D Touch as Apple wants to keep the off-contract price between $400 and $500 in the United States. By comparison, 2013’s iPhone 5c model sold for $549 contract-free for the entry-level model with sixteen gigabytes of storage. 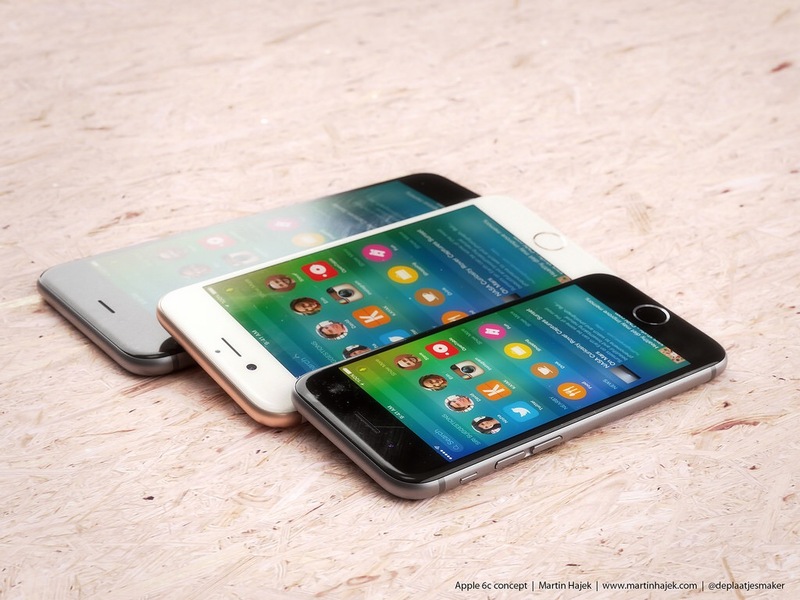 However, Foxconn has yet to receive orders to commence mass production of the iPhone 6c, TechWeb cautioned. Another report published earlier in the morning said Apple has been testing at least five different iPhone 7 prototypes with unique hardware features such as a USB Type-C connector for headphones, wireless charging, multi-touch Force Touch, dual cameras and a Touch ID fingerprint scanner embedded into the display itself.